Can you read music? I can't, but I do know that all of the various systems of musical notation record just two things: Tone (the fundamental resonance frequency of each note played) and time – how long each note is or how long the spaces are between notes – either as rests or just as a consequence of the time between notes of a particular duration (a quarter note, for example) at a particular meter. That's it. 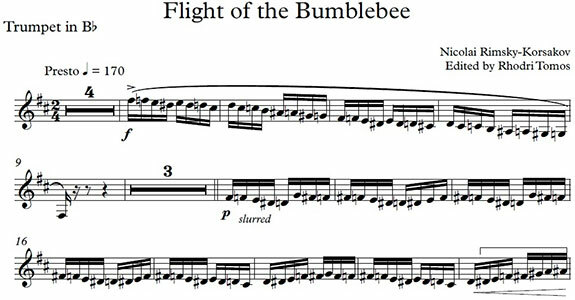 Oh, and there is one more thing; somewhere on the score it will always indicate what kind of an instrument is intended to play the written material. And that's all-important, because 440 Hz (the note "A", to cite an example), while being exactly the same frequency on an oboe, a clarinet, a violin, a piano, a trombone, or even a drum, will sound completely different depending on which instrument plays it, and it's that difference – even more than the fundamental similarity that gives music its character. Want to have some fun? If you have an audio signal generator or are willing to buy one for cheap and if you have any kind of sound recording device (your phone will do just fine) you can demonstrate the importance of those differences for yourself, right at home. All you need to do is to work out ("by ear" is just fine) some simple tune. (Twinkle, twinkle, little star or Mary had a little lamb will do quite nicely). 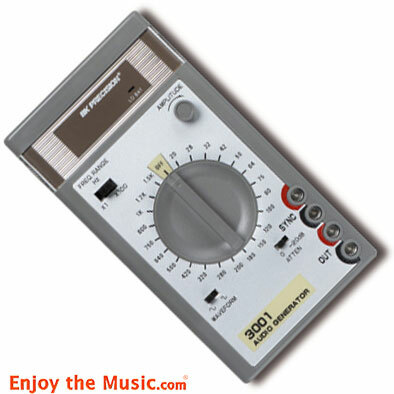 Setting your signal generator to produce a pure sine wave at the desired frequency for each note, just play each of the notes and record them, each of a suitable duration, in the right order, and repeated a suitable number of times to actually make a musical line that you can listen to, and then DO it. See what music that consists only of pure tones sounds like. Did you do it? Well, what do you think? Pretty awful; right? 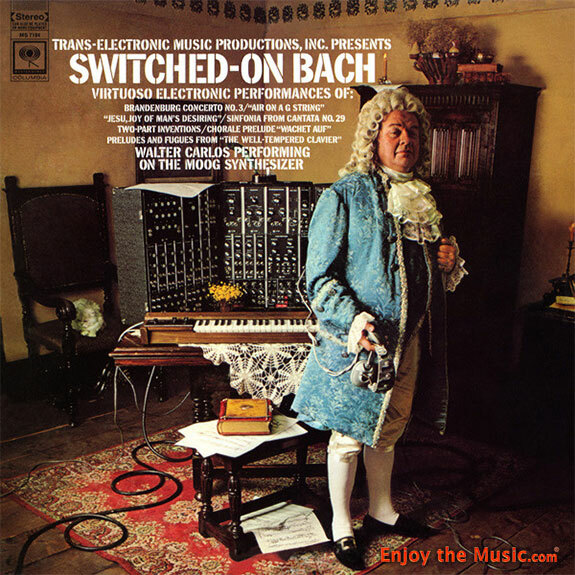 Just a series of pure tones – even if you really were Walter/Wendy Carlos, and even if you had the talent, the ability, and the incredible patience to put together something as infinitely complex and utterly magical as he/she did for the "Switched-on Bach" albums – would likely be disappointing. Odds are that, if you structured your music only from pure tones, you'd find it to be "flat", uninvolving, and maybe even boring. The real musicianship in the Switched-On Bach albums wasn't in their assembly of electronically-generated tones to emulate and pay homage to the works of J.S. Bach, but in the harmonic structure created for each note to make it interesting and give it life. That's what musical instruments are intended to do: By their size and shape and by the materials of which they're made and the way in which they're assembled, held, and played, each adds its own unique characteristic sound quality to the basic tone of the music, making it richer, fuller, and more involving in the process. Musical instruments are intended to produce harmonics and to enrich the tones they play, and each individual instrument – not just by its type, but even by its specific model or maker – is intended to be different and to bring its own particular character to its sound. Consider only the endless scholarly and technical research into the nature and effects of the particular glue or varnish used by Stradivarius or any of the other great makers of stringed instruments and you'll understand what I mean. Hi-Fi equipment is exactly the opposite: Despite the claims of certain Italian and other speaker manufacturers, for example, and despite their allusions to the great instruments or instrument makers of yore, the making of a great loudspeaker – even if you give it a grille that looks like violin strings or the brand-name and hand-rubbed glossy finish of a great piano – is nothing at all like the making of a great musical instrument. With an instrument, you put in a pluck or a tap, or you bow it or strum it, or blow into or across it, or give it some other simple stimulus and, by virtue of the nature of the instrument and the skill of the performer, what comes out is something far more complex and interesting: a musical tone. With Hi-Fi gear, you do the exact opposite – you put in a recorded electronic replica of that musical tone and, instead of adding anything to it, the best you can ever hope to get back is the exact same signal, audible but otherwise unchanged, with nothing of any kind either added, subtracted or modified in any way. Unlike a musical instrument, which must add its own voice to the music being played, our audio equipment of every kind, from the recording process, itself, through the recording medium and every part and aspect of the playback system – even including the room it's played in – is intended to stay "mum", and to have no voice of its own at all and no effect on the music whatsoever. I was talking about this with John Curl the other day. John, along with just a very few others, is one of the truly great audio electronics designers, ever, and has designed or contributed to the design of some of the very best solid-state Hi-Fi gear ever built. He agrees with me and with the great majority of the audiophile community that the job of the audio designer is not to make gear that "sounds good", but to make gear that, except to perform the barest minimum task for which it was specifically designed, does nothing at all and, even then, has no "sound" of its own at all. Of the two tasks – making a musical instrument to produce an original sound of its own, and devising an audio systems that will simply be a pipeline for the music without contributing to it at all – it's the latter that's by far the more difficult and possibly even the greater accomplishment. Just in Facebook or on YouTube, I've seen and heard improvised musical instruments – a guitar made from a one gallon oil can or built around a bicycle sprocket; plastic containers played as drums; and all manner of other things. Every one of them made music, and that music was as musical, as good-sounding, and as emotionally involving as the skill and talent of its player and the limits of its design and construction allowed. Unfortunately, with audio gear, it's nowhere so simple: Despite all of the claims of the nay-sayers, everything between the musicians and the listener makes a difference, either to add to, subtract from, or somehow change the musical experience as it was originally heard. Even today; even after most of a century of the best minds and most skillful hands in the industry diligently working at it, you can't build a system – either literally or figuratively – from oil cans and plastic containers, or even from the best electronic components in the finest room, that will just serve as a pipeline for the music and make no contribution of its own to what we hear. Music remains (given certain necessities) easy to make and impossible to perfectly and completely reproduce.